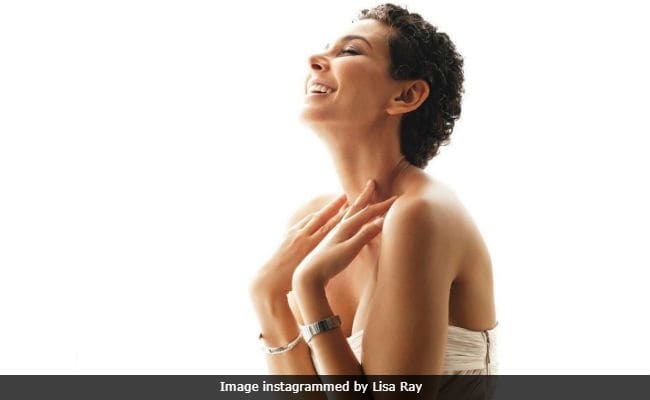 Lisa Ray said that she hopes for "health, love and continued recklessness to live by my own truth"
Actress Lisa Ray celebrated her birthday by sharing an Instagram post, in which she revealed how battling cancer changed her for the better. "Because there's so much to be grateful for. Because there's so much grace I received from my experience with cancer," Lisa wrote on Instagram. Lisa Ray was diagnosed with a rare form of blood cancer in 2009 and a year later in April, she was declared a survivor. "I don't wish disease and difficulty on you, but I do wish the teaching that comes from being a Cancer Graduate," Lisa added. At 46, Lisa says she feels like she's "just getting started." She wrote: "All I want is health, love, continued recklessness to live by my own truth, a sincere wish to wake up to the grace in the everyday...and art." Lisa married Jason Dehni, a banking executive, in 2012 in Napa Valley, California. Lisa Ray became a household name after she featured in the song Afreen Afreen, composed by Nusrat Fateh Ali Khan. She has featured in films such as Bollywood/Hollywood, Water, I Can't Think Straight and Veerappan. She was last seen in Bollywood film Dobaara, co-starring Huma Qureshi and Saqib Saleem. Lisa Ray has also featured on television shows such as Blood Ties, Psych and Endgame.